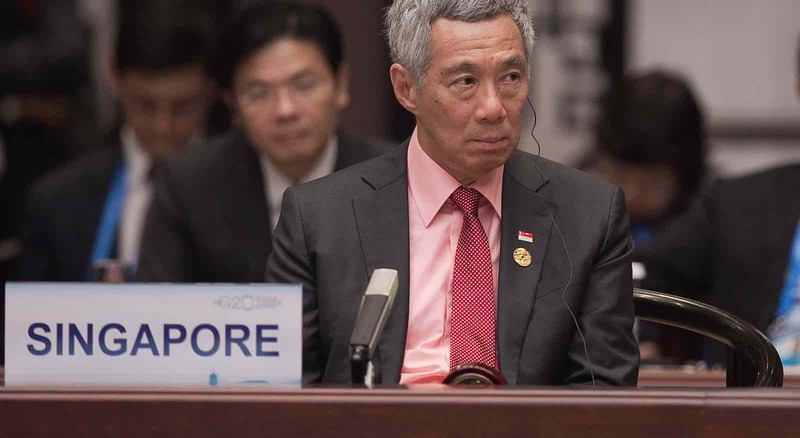 In January this year, Singapore’s Prime Minister Lee Hsien Loong held a joint press conference with then prime minister of neighbouring Malaysia Najib Razak. “I do not expect elections to change the nature of relations between our two countries,” Najib said in response to a question. “Because you have a confidence in the result,” Lee quipped as the two laughed. That moment of bonhomie has not aged well. Less than five months later, Malaysians voted the long-time incumbent Barisan Nasional party out. Najib, caught up in the massive 1Malaysia Development Berhad (1MDB) scandal, has seen properties linked to him searched and huge amounts of cash seized. Very few predicted this result. Across the causeway linking the two nations, Singaporeans watch as the country we were once briefly a part of strikes out on a new path. At home, the People’s Action Party (PAP) has been in power since 1959. I think the people of Singapore, like the people in Malaysia, must be tired of having the same government, the same party since independence. If Singapore does see a “tsunami rakyat” (people’s tsunami), it’s unlikely to come so soon. The PAP is not the Barisan Nasional: it’s done a better job, with more consistency. Lee’s siblings have accused him of nepotism and misuse of power, but this is still a far cry from the outrageous corruption that Najib was alleged to be neck-deep in. Yet the PAP hasn’t been indifferent. Shortly after the Malaysian election, a PAP minister paid tribute to former Workers’ Party chief Low Thia Khiang, while Lee Hsien Loong said that the opposition party had a role to play in Singapore’s political system. This conciliatory tone is in sharp contrast with the rhetoric of only two months ago, when the PAP slammed Workers’ Party chairman Sylvia Lim for “deplorable” conduct after she suggested that the ruling party had changed its position on raising the Goods and Services Tax (GST) after public unhappiness. Grace Fu, the leader of the House, even threatened to lodge a complaint against Lim for abusing parliamentary privilege. More promises to consult with the people have also been forthcoming. Finance Minister Heng Swee Keat announced a new discussion series to listen to Singaporeans with “humility and respect”. The PAP appears eager once again to prove they are not out of touch with the citizenry. The most immediate impact of change in Malaysia has been to bilateral relations. Whereas ties between a Najib-led Malaysia and Singapore were friendly, things were more fraught the last time Mahathir was prime minister. Mahathir has already indicated that he’s dumping the multibillion-dollar high-speed rail project between Singapore and Malaysia. This decision could have an adverse impact on the Jurong Lake District, a planned commercial area being developed at the western end of Singapore. But other changes in Malaysia could also lead to awkward questions for Singapore. The new Malaysian Home Minister Muhyiddin Yassin has said that the government will review seven laws. Among them are the Printing Presses and Publication Act, the Peaceful Assembly Act, the Sedition Act, and the Security Offences (Special Measures) Act. The juxtaposition is striking. Singapore has similar laws governing the media, public assemblies, sedition, and detention without trial. The PAP government has said that these laws are necessary for national security and stability; the neighbours are now saying they are “unsuitable”. While Malaysia is moving to repeal their Anti-Fake News Act, the Singapore Government is looking to introduce legislation to deal with “fake news”. The more successful Malaysia is in reviewing its laws, making amendments ... if they can do it and they can move along in a multiracial, multi-religious, multi-stakeholder interest country, I think there is a lot of hope for us in Singapore. Mathi does, however, point out that there are more Malaysians who have been willing to support local civil society activities than Singaporeans who participate in sociopolitical causes. Meanwhile, pro-PAP accounts on social media have been critical of the new Malaysian Government, taking aim at promises such as the Cabinet’s commitment to cut their salaries by 10%. The generous salaries of Singaporean ministers, which are among the highest in the world, has long been a controversial topic domestically. Ultimately though, I think the reason many pro-Establishment people want to see the Mahathir government fail is that they seem to be doing everything that our Establishment says cannot or should not be done ... In other words, the reason many here would like to see the new Malaysian government fail is that its success would cause them cognitive dissonance and discomfort. It’s still early days yet. While the Pakatan Harapan government appears to be hitting the ground running, a lot remains to be seen. If PH governs successfully and manages to push through tough reforms, it is hard to imagine that this would not help to energise Singapore’s opposition. But if PH lurches from crisis to crisis or sees a deterioration in financial conditions or social stability, the effect will probably be to strengthen PAP’s hand further. Many of us [in Singapore] have talked about this in private and social circles. We wish [Malaysians] the very best to advance in their road to democracy, and hopefully we too can move towards that path more and more. Bilateral relations need to remain a focus as Malaysia keeps reforming.